Video e-commerce solutions provider Cleeng has announced a Series B funding round of €5 Million to drive product development and growth in key markets. The funding round is led by Dutch venture capitalist firm Walvis, joined by current investors C4 Ventures. Walvis, founded by the J.A. Fentener van Vlissingen family, helps Dutch technology companies scale internationally. With the new funding, Cleeng said it would be able to increase its sales and marketing efforts, broaden its partner network and further invest in research and development. Broadcasters including Foxtel, Sinclair Broadcast Group, Sky News, and media brands including Feld Entertainment, Cyberobics/McFit currently use Cleeng’s solutions. 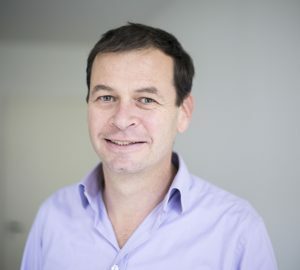 The Amsterdam-based startup has also announced that Colin Morrison, VP Sales at TiVo and 25-year industry veteran will join its supervisory board along with Vincent Gravesteyn and existing board member Olivier Huez from C4 Ventures, the investment fund founded by Pascal Cagni. “The OTT market is booming, and this investment will allow us to reinforce our core competencies and create the best platform for broadcasters to succeed in delivering Direct-to-Consumer strategies “We’ll expand our market presence in the USA, Europe and Asia to better meet the needs of leading broadcasters and our network of partners across the globe,” said Gilles Domartini, founder and CEO of Cleeng.